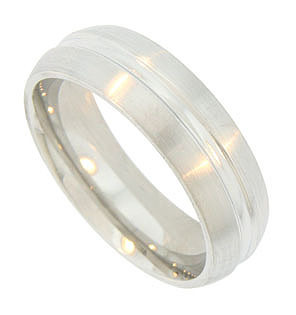 Florentine finished edges frame a deep center groove on this modern men’s 14K white gold wedding band. 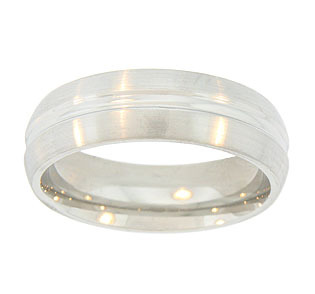 The wedding ring measures 7.09 mm in width. Size: 11. Cannot be re-sized, but we can reorder the ring in other sizes and in 18K, yellow gold, platinum or palladium. Price will vary depending on metal and size.